Eric J. Topol, MD: This is Dr Eric Topol, editor-in-chief of Medscape. 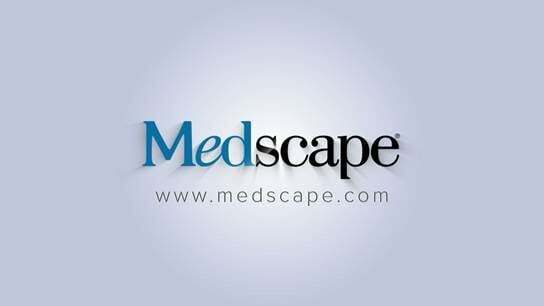 This is Medscape One-on-One—interviews with some of the most interesting people in medicine. Today I am thrilled to have with me Dr Wendy Sue Swanson from Seattle Children's Hospital, certainly one of the most interesting people in the field of medicine. We are going to be talking about her role in social media in medicine, the recent measles outbreak, and other topics. Wendy Sue studied psychology at Kenyon College in Ohio and then went on to the University of Pennsylvania Medical School where she completed her MD, as well as a master's degree in bioethics (MBE). Before medical school, she taught for a couple of years, which had an impact on her career. After medical school she went to Seattle for her residency, and she has been at Seattle Children's Hospital for a good part of her career. She published a book last year, Mama Doc Medicine (2014; American Academy of Pediatrics), which was a great resource for my daughter and my wife in regard to our 1-year-old grandchild. You are one of the leaders in the healthcare social media revolution. Could you tell us how you got into that, and about your blog and social media portfolio? Wendy Sue Swanson, MD, MBE: Social media auspiciously landed on my lap at the right time. I finished my training in 2006 and went into full-time practice in the community. It was obvious to me from the very beginning that people were starting to consume health information outside the pediatric office and were starting to make decisions based on what they were finding. This was a boon for parents who were raising young children and making decisions. As I began my practice I was fortunate to become a mom myself. With my second pregnancy I was on bed rest, and one of my friends said, "You have to get on Facebook." I joined Facebook while on bed rest and started to recognize that I could broadcast out to people who were interested in what was happening with my own health, and I could start to listen to all of these different voices. As I moved along in practice and back, vaccine hesitancy continued and perpetuated in primary care. All of a sudden, moms and dads were coming into the clinic, bringing all sorts of stories, evidence, metaphors, and anecdotes that they were learning as healthcare consumers. It became clear to me that not only was science losing its voice, but I had only a precious15 minutes with families at the 6-month visit to talk about five vaccines, influenza, developmental milestones, sleep, and a whole laundry list of other topics, not to mention doing a complete physical examination. If I was going to fulfill my oath to reach patients and families and connect them with the science (and be a good storyteller so that the science was helpful), I wasn't going to be able to do it in the exam room. Dr Swanson: I started to think about sharing messages about vaccines, and about championing the science, safety, and profound impact that vaccines have had on health and our lives. I began to tinker with a blog. I approached Children's Hospital, because although I knew I could just start my own personal blog, it was very important for families to have a place to go that they could trust. Seattle Children's is a great place with a repository of compassionate experts, and as a general pediatrician, I could potentially start translating some of that science for patients. Organically, my Facebook experience grew into my blogging experience and then into Twitter. It turned into a new career. I started out thinking that I would share what I know and tell it as a story. I wasn't going to do it with an ivory tower tone but would tell my journey of being a pediatrician married to a subspecialist and raising children. I wanted to tell "the real story" and wed evidence and anecdote. As I got more and more into it, I started to learn that it wasn't what I was saying that was so profound; it was what I was hearing in the comments and the responses that I was getting to questions I asked on Twitter. For example, I remember the issue of contamination of baby formula with beetle parts. I went on Twitter and searched for the brand of formula and then "beetles parts," and I began creating content around this possible concern. I talked to a gastroenterologist who said that the stomach pH is so low that the beetle parts would not be harmful. When I went online and started searching on Twitter, I could see what moms were doing to each other. All of a sudden, the breastfeeding moms and the formula-feeding moms were arguing, and people were getting tense. My hope was that I could learn the science by talking to an expert and then listening online. The message I then crafted would hopefully do a better job reaching concerned parents. My hope is that by using these new tools, I will be more efficient and I will reach more people. I can potentially learn much more, so that as a spokesperson and general pediatrician who desperately cares about the population, I will be able to accomplish more. Dr Topol: How is this being received by your colleagues—not just in pediatrics, but when you talk to physicians about your remarkable experiences, the reach and the impact that you have had? Is this starting to get traction among the physicians with whom you interact? Dr Swanson: That question is momentous in my career in the sense that back in 2009, when I started this, I remember colleagues literally guffawing at me when I said I was going to "start a blog." It seemed to be a laughing matter that I was going to tackle public health problems this way. Their views have dramatically shifted. No one is laughing anymore when they realize that we can reach millions and listen to tens of thousands of people and filter information. Six to nine months after starting the blog, I began to get requests to speak. I started meeting people in the entrepreneurial space. I met patients and families, and I talked to empowered patients who were hacking solutions to get the expertise and information that they needed, and to those who desperately wanted to be at the helm of their own healthcare with their own data. As I started to do more speaking and listening in the entrepreneurial space, I also started to become more savvy about the strategies with which to take a blog and a message—taking one channel of information and blasting it out—and start to build a better story about how this could augment what we have always done. Now I am asked to speak all over the country and around the world. I am running an innovation group at Seattle Children's called Digital Health. I have a small team and we are building new technologies. Not every doctor will get on Twitter and Facebook. Not every doctor has to create content, but every physician who cares for patients and who will ultimately be responsible in the future to care for populations in more savvy ways will have to curate health information. We need to have trusted tools with which we can champion—first and foremost—patient privacy when they want it, create navigation tools for them to share when they want to, and leverage that community-building and create repositories so we can bring down those silos. For physicians who are extremely busy and who have so many inboxes to deal with, who have to document in the electronic health record, keep up with their colleagues, publish research, and dedicate their attention to patients and families, the holy grail will ultimately be making this a part of the regular workday. Those are the new tools that I am building at Seattle Children's Hospital now. Dr Topol: Did you have to convince the hospital or was it a willing partner? I'm trying to figure out how you developed such a strong bond with the hospital. Many hospitals are not exactly "with the program." Dr Swanson: In 2009, the hospital's vice president of communications, David Perry, had come from Microsoft and he was a big thinker. He had gone to Cranium [the toy and game company]. We had lunch and I said, "I think we can start to take care of people outside of the exam room. We can start to disseminate education asynchronously." He said, "I think we can too." I said we needed a blog. He was my dual champion. What started was an experiment, which was, "Can we hire this non-subspecialized pediatrician for a large successful academic center to translate the mommy story in a meaningful way?" It was an experiment that went very well. The first post that I wrote that went viral was about rear-facing car seats. What I love about the story and what I learned from it was that I was starting to hear some chatter about the data in 12- to 24-month-old toddlers—that if they are rear-facing, they are 75% less likely to die in a car accident than if they are front-facing. I called up a couple of colleagues who sat on the task force of the national committee at the American Academy of Pediatrics (AAP) and I asked whether this was going to be a recommendation. They said yes but that they had to hold all of our committee meetings; it would be another year or so. I connected with some experts, got the data, and created a post called "Two is the New One," in which I told people to keep their children facing the back of the car until they are 2 years of age. I just put it out there. In one night it bumped, which at that time was a big deal. It got 50,000 views overnight. It started getting picked up on BabyCenter and people were talking about it. For me, what was so exciting about it was that 15 months before the policy statement came out, the national media had picked it up. There was this blog sitting there that was being read 10,000 times a month. Families were learning that keeping their kids facing the back of the car was potentially safer, and that may have saved a child's life or saved a child from an injury that was unwarranted. My hope is that as we learn how information flow changes and as we open-source the data and let people come in, the old way of doing things, where we create press releases and we wait and we try to control it, is done. Social media can help that. Returning to your question about the hospital, they were hesitant in the beginning but I had a great champion. Then I was getting a significant portion of the traffic to the website, and they started to recognize that this was providing engagement. I was aligned with these compassionate experts, and my mission was aligned with Seattle Children's, which is about reducing injury and illness in children. I was just using a new set of tools. Up to this point and for 5 years, no one has ever edited my content. Over time I have built trust by volume, and now I have published 570 blog posts and a video almost every week for the past 5.5 years. The relationship has accelerated. When I went to the organization and said, "I'm not going to be a mommy blogger forever; we have to build new tools and bring in new companies to give every physician the same tools that I have," hopefully it was an easier ask. Dr Topol: That's quite a track record in your relatively young career. I want to move on to the topic of the day, which is vaccines and the measles outbreak, which started not too far from here in Southern California at Disneyland. Is it true that the news was broken by a pediatrician? Dr Swanson: I read that it was broken by a pediatrician on Twitter. It's amazing what happens in our offices. I remember, for example, when the H1N1 concern came to the population, the index case was in my office. At the time I was following flu.gov on Twitter, and I was getting up-to-date information as they changed information on the dosing of Tamiflu to infants and how we were protecting our communities. I remember thinking, this is incredible. Before my colleagues knew what the CDC was recommending, I heard it on Twitter because I was following them. The same thing has just happened: A pediatrician learns about an index case, learns about the threat in a very whimsical public place where we feel protected, and the reality that we have all been bracing for comes to bear. She goes right onto Twitter to start telling the world what she knows to protect the population. You and I use social tools eagerly as a part of our typical workday, but most physicians don't think that it is necessary. These great examples are coming fast and furiously. The exchange of information has been disrupted. A pediatrician in Southern California can break a very important story that has turned into an even bigger dilemma. It's a good place for us to work out some of the issues that we have related to vaccines in this country. Dr Topol: Let's turn to how this happened. This is a preventable, horrible infectious disease. You have written blogs about being enraged. Give us a sense of what is going on here. Dr Swanson: There are a lot things going on. Social tools have something to do with it. Back in 2000, we said that we have done a phenomenal job. We have a safe vaccine that is remarkably effective (> 99%) when administered properly. Here we are in a perfect space to eradicate disease. We announce it. We wash our hands of it. At the same time, however, information-sharing was changing, and someone like Jenny McCarthy can go on Oprah, or Larry King, or online and tell an anecdote (an n of 1) and champion mommy instinct. With her celebrity and being articulate, she started a new story in which she takes a fraudulent study, partners with Andrew Wakefield, and elevates concern and fear. Because we are human and our decisions about our children are governed by love, and we listen and are convinced by our emotions, we might make different decisions. People become hesitant. They start refusing vaccines. We develop pockets of undervaccinated communities. We all travel all around the world, and unfortunately we bring illnesses back. Originally in the early 2000s, we started to see that most of our measles cases were brought home with travelers. Then we had outbreaks. Gradually over the past 14 years, outbreaks have increased until we reached a high in 2014 of more than 600 cases—more than 20 different outbreaks around the country. We have more data showing that undervaccinated populations are more at risk. It spreads out into Disneyland, where you have an undervaccinated, global population. A domestic person comes in who is infected with one of the most infectious diseases in the world, and goes around a place where people share the air, secretions, and door handles, and it begins. Dr Swanson: Now we find that we have been very tolerant, with a beautiful balance between liberty and public health that we have to honor. Mississippi and West Virginia have been the only two states that won't allow philosophic or personal-choice exemptions and won't allow religious exemptions to vaccination. In Mississippi schools, more than 99% of kindergartners have had the measles-mumps-rubella (MMR) shots and are protected. It's a safe place to go to school, with respect to measles. Around the country, the rest of us have jostled with personal choice, liberty, and parental rights—for very good reasons—but the soft side hasn't worked. Infectious diseases have returned. Not only are they not eradicated, they are causing outbreaks. The concern, of course is that it will cause death. One in five children with measles is hospitalized. Measles is exceptionally hard on young children. They are more likely to have the devastating effects. What also has happened is that previously when we thought about vulnerable populations and our social responsibility, it was easy for us as community members to cast aside the immunocompromised people, maybe even those older people, and say, "I don't have to get my shots for them. I have heard this scary story. I will wait." One of the interesting things that has come out of this outbreak, which I have written quite a bit about, is that all of a sudden, people are recognizing that there is an enormous population that is vulnerable but not sick: these well babies under a year of age who are too young to be immunized. Those five kids in Chicago went to daycare and acquired the measles because they were too young to be immunized. It has heightened the sense of outrage, that the 90% of us who vaccinated our kids on time feel that we have to fight the fight. The media have done a huge disservice by talking about the anti-vaxers and the vaxers, pinning them against each other as if we were equals, but we are not. We are nine to one. Nine out of ten of us vaccinate our kids. Dr Topol: Why don't we follow the lead of those two states? Why isn't this a national requirement? Dr Swanson: We are all working hard on that. A bill in Washington State, for example, was just put forward by a congresswoman who is saying, "Let's get rid of personal choice and philosophic exemptions. Clearly this isn't working." The Washington chapter of the AAP (myself included) and several ethicists in town have also said that this is probably not enough. When you look at measles in a community, you need more than 90% of your population up-to-date and immunized to protect the herd, particularly those who are vulnerable. We have such a safe and effective vaccine, and we need such a high proportion of our population to be immunized to protect the vulnerable, that claiming personal choice won't be tolerated. We may not be able to tolerate religious exemption either. Dr Paul Offit wrote a staggering op-ed in the New York Times, "What Would Jesus Do About Measles?" We are saying, "Let's look at West Virginia and Mississippi. Let's see how their public health is. Let's see how people feel there." How can we as a country live with the responsibility that we don't live on islands, that we live together in communities and we swap air and share subways and we go to the same schools? When we give the message about vaccine science and safety, we have to remember a couple of things: We have to share the great data, but we have to acknowledge that parents have been frightened and scared by the stories they have heard because of the disruption of how we share information and expertise. We have to value that and think of our own messages as very compassionate. There was a beautiful study in Pediatrics this past year that looked at parental intent to immunize their children with the MMR vaccine. When you talk to parents about their intent to protect their children vs protecting the population at large, they care more about protecting their child. That's human. I loved the messaging in the study. They said that when your child gets the MMR vaccine, your child will be able to go to school and playdates safely during an outbreak. As opposed to being top-down, from the ivory tower, we should package the information by saying, "This is in your child's best interests. The data have been borne out. Tell me what you are scared of. Let me help you understand where the science is." Appeal to the emotion of how we make decisions. My hope is that we will get quite a bit further when we honor the opportunity for physicians and experts to share what they know on such places as Twitter. I designed a 10-minute Tweet storm, during which we dumped a bunch of good, earnest, factual, compassionate content so that people know how fired up we are about protecting these babies, these vulnerable populations, and ourselves. Dr Topol: You are thinking that it may be difficult to legislate vaccines, but with the power of social media and education, getting the word out in the ways you just described would be the best immediate path to get as close as we can to 100% appropriate vaccination. Dr Swanson: They are both important, but the way we legislate is to use our voices very well, thoughtfully, and effectively. I hope we go further in Washington State. I hope this bill passes. I hope we say, "No more personal-choice exemptions," in particular related to the MMR vaccine, but then I hope we are smart enough and strong enough that we help provide clarity around where the science lies and the great opportunity it gives us of protecting the herd. We will have to legislate it. The soft way of doing it, the way that we have done it up until now, is clearly not effective at protecting our population in a time when we have a safe and effective vaccine. Dr Topol: I hope that the states of Washington and California, where it is a particular problem, are more effective than the federal government in legislating anything. What is the status of the current outbreak? Is it under control or are cases still being reported indexed to the patient at Disneyland? Dr Swanson: We learn the outbreak status from the Centers for Disease Control and Prevention (CDC) on a weekly basis. More than 150 cases have occurred in 17 states, according to recent publically available data. We continue to brace ourselves because of how highly infectious measles is. I don't think we are out of the woods. Two great stories have come out of this measles outbreak that we don't hear about in the mass media. Tens of thousands of people at Disneyland were protected from the measles. They walked around Disneyland, were exposed to measles, were coughed on, touched the same surfaces that were touched by infected individuals, and they did beautifully because they were protected. The second story is that the politicians got involved. Governor Christie started talking about choice and President Obama aligned himself with the AAP, saying that we need to be immunized. All of a sudden, we are fueling the presidential campaign that is about to unfold with vaccination and public health issues. For me as a pediatrician, who is so interested in prevention and population health management, this is good. Dr Topol: You have a lot of different roles, and not only in Seattle. Your reach is much broader than the state of Washington. You are writing blogs, reporting, taking care of your patients, and taking care of your family. How do you balance all of this? You have a lot of energy but it must be difficult. Dr Swanson: It's a work in progress. My whole career is an experiment, and so is my work-life balance. One of the subtitles of my book is about work-life balance. It's not that I have a lot of answers. It was more about enduring the experience of young children and a dual–working-parent, dual-physician family at my own house, while caring for patients, and for my mother with a chronic health condition, and having my own cancer diagnosis at the age of 38. Everyone is working hard. I work a lot of hours but I do love and believe in these tools. I am learning much just by experimenting with them and evangelizing their worth. One of the best moves I made, which can be somewhat unpopular when I talk about it, was that I didn't do this just in my free time. I didn't start a blog at midnight on the side. I said to Seattle Children's, "I think we have an opportunity here. I'm a full-time pediatrician right now. I would love to spend 1-2 days a week doing this. Can we figure out where in the budget we could move some funds so that I could start translating health information, and we'll see how it goes?" That was the beginning of defining how I was going to improve and iterate how we communicate and how we reimburse communication in the health space. I wanted to make sure that I didn't give it away, because the minute I give away my expertise and skills at a zero-sum value is the minute I say that it's not valuable. Dr Topol: The last thing I wanted to ask you about is Mama Doc Medicine. The AAP published your book, which is very unusual. I don't think too many professional organizations will publish a book on behalf of one of their members. How did you accomplish that? Obviously you enjoy writing. You had already probably covered a lot of these topics in some of your blogs. How did you work with the AAP to pull that off? Dr Swanson: The AAP does have a consumer-facing publishing angle. They publish parenting books, so that wasn't novel. I started working with the AAP, joining their Council on Communications and Media after I started the blog. Then I was elected to the executive committee to get to know the Academy. I started learning about their challenges and successes with the online content that they were developing. They approached me about doing the book. I hesitated because I was so interested in evangelizing content that was free and online and easy for everyone to access. I thought, why would I go back in time and publish a book? I came along because I thought that maybe I could help the AAP and maybe they could help me. Maybe I can get the word out on vaccines with a tone other than policy statements, meta-analyses, and studies. Maybe I can help the mom-to-mom, peer-to-peer healthcare type voice on top of that that represents AAP's work. Maybe at the same time, you can help me get the word out on how much I care about the value of delivering to patients and families good information and harnessing the expertise that patients have. We put Tweets, infographics, and Web resources in the book. I tried to give it as much of a multimedia feel as I could in this old model. My hope was also to help AAP move into the realities that were there. I was lucky that the Academy was already set up with consumer-facing publishing, and I am thankful to be able to continue my partnership with them as a spokesperson for them, and learning from them how to help the public get the information that they need. It's unique in the pediatrics sphere in that way. Dr Topol: Can you tell us anything about the innovation center that you are running as director? What are you cooking up there? Dr Swanson: I run a very small team. We take what we have learned from social tools and media to build new tools for physicians and patients. I built my first technology which I call "Virtual Handshake." It's a platform that allows patients and families to learn and get curated health information about a disease or condition even before they come in for an appointment. For example, they call to make an appointment after they have been referred, for example, for an inguinal hernia. The surgeons who take care of patients for inguinal hernia evaluation have created videos, PDFs, links, and content. We deliver a personalized message to the mom who calls for an appointment. We have videos of the things that we would teach during the visit that we want patients and families to know ahead of time, right next to a map or a text reminder in a HIPAA-compliant encrypted space. My hope is to get more funding and have a workforce of project managers, and scale it up so that families and patients have communities, places to set agendas, and a way to communicate before they see us and afterwards. It is a way that I can live in that responsibility that we all feel in healthcare, which is about caring about patients before we see them. And we are certainly thinking and caring about them when we are not with them. We just don't have a lot of tools right now that can connect us in meaningful ways. Dr Topol: That's terrific. You are doing an awful lot. Let me just say, Wendy Sue, AKA Seattle Mama Doc, that as I have gotten to know you through Twitter, congratulations to you and your colleagues at Seattle Children's for all that you have already accomplished. You have created a model on how you can not only provide such great patient care but also have an impact at a much bigger level through the tools that we have today that were not available in any significant way 5 or 7 years ago. We wish you continued success. I appreciate your willingness to do this interview. You certainly fulfill the descriptor of being one of the most interesting people in medicine. Thank you very much. Cite this: Eric J. Topol, Wendy Sue L. Swanson. Topol, Mama Doc on Social Media's Power, Vaccines, and Disease Prevention - Medscape - Mar 17, 2015. Disclosure: Wendy Sue L. Swanson, MD, MBE, has disclosed no relevant financial relationships.